Jude loves doing worksheets so I like to capitalize on current holidays to keep the worksheets exciting. Since it’s now March I want to find some fun St. Patrick’s Day preschool worksheets but couldn’t really find many, so I made my own. 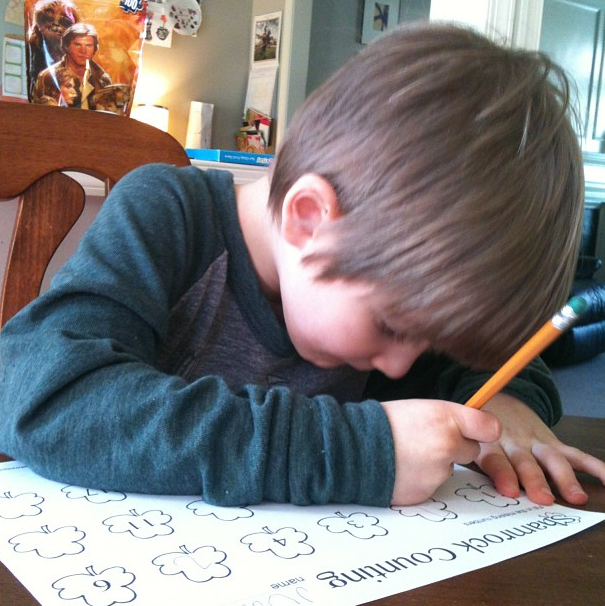 Jude particularly likes the worksheets where he has to fill in the missing numbers or letters. Enjoy! Great learning and celebrating tool! Love it. Love these, printing these out for my 4 year old and 6 year old! Great printouts for my preschooler — he will love them! He continually gets stuck at 16, so hopefully the numbers sheet will help. Thanks for sharing! Thank you so much for the printables! Such a huge time saver! !